The Budget Deal: One Of Many Late Nights To Come? : The Two-Way It was literally reached at the 11th hour. And in this era of divided government, that could happen a lot in coming months. We look at some of the morning-after analyses of the deal. The Budget Deal: One Of Many Late Nights To Come? 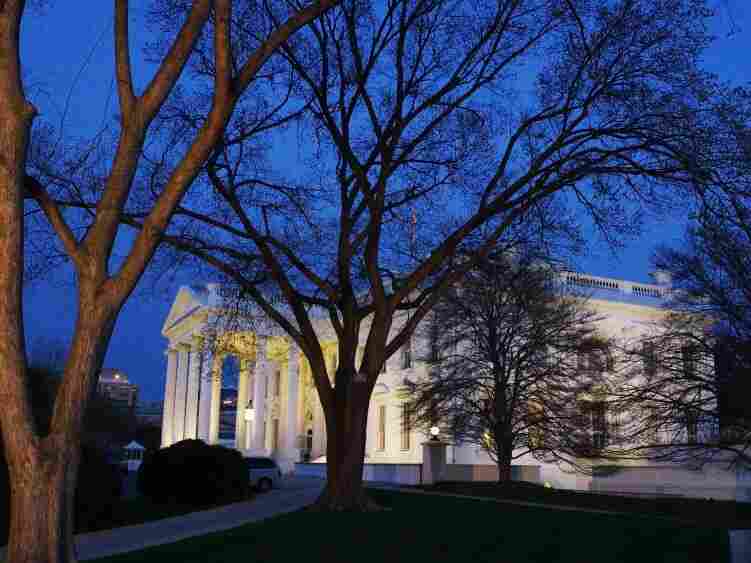 The White House lights may be burning a lot in coming months. Now that we know there will NOT be a partial shutdown of the federal government because late last night lawmakers reached a deal on a plan to cut about $38 billion from this year's budget, it's time for some morning-after analyses. -- Over at It's All Politics, our colleague Frank James says this shows that "compromise is alive, if not well." -- On Weekend Edition, NPR's Scott Horsley said that since the agreement was literally reached at the 11th hour, it "suggests that we may have a lot of late nights to come in this new era of divided government." NPR's Liz Halloran, by the way, has previewed "the bouts to come." The include the 2012 budget and whether to raise the federal debt limit. -- Politico calls the talks that finally produced a deal "less a high-stakes game of chicken — like most budget wrangling — than an effort to jerry-rig a deal that would be acceptable to House conservatives, Senate Democrats and a president intent on proving he could pull off a bipartisan deal for the second time in five months." -- At The Corner, the politics blog of the conservative National Review, it's said that House Speaker John Boehner "wins big" in all this because a process that started with President Obama wanting $40 billion more in spending ended with that $38.5 billion reduction. -- From the other side of the political spectrum, Ezra Klein at The Washington Post also sees Boehner and the Republicans as having succeeded — and he isn't pleased. "The Democrats believe it's good to look like a winner, even if you've lost. But they're sacrificing more than they let on. By celebrating spending cuts, they've opened the door to further austerity measures at a moment when the recovery remains fragile." -- Meanwhile, according to The Wall Street Journal "leaders of the small-government, tea-party movement are generally giving House Speaker John Boehner high marks for his leadership in the spending showdown, even though the agreement eventually reached Friday night fell short of the cuts the tea party once demanded." -- And then there are the views that may make you agree with those who say this is no way to run a government. The deal is something that "nobody loves but that all were willing to live with," writes The Christian Science Monitor's Brad Knickerbocker. But, "it doesn't solve the nation's debt and deficit problems, and it certainly doesn't settle the non-spending policy issues that had bedeviled the process of getting to yes — abortion is only the most obvious."